DUBAI, U.A.E, 28th March 2009 - The Emirates Group is once again supporting the country’s Emiratisation drive, by taking an active part in the Annual Career Fair to be held in Dubai World Trade Centre from 29th to 31st March 2009. A strong supporter of Emiratistaion since commencing operations in 1985, Emirates has worked hard to recruit and retain UAE nationals, providing them with the exciting opportunity to give UAE nationals a chance to learn about, and develop meaningful careers in aviation. 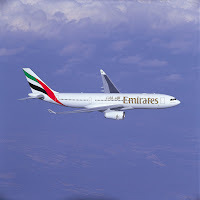 At the 2008 Annual Careers Fair, the Emirates Group stand received over 3900 applications for employment. This year, Emirates Group expects a record number of job seekers to pass by its stand E4- 1 in Hall 3, which has been enhanced with new and exciting facilities to cater to the expected increase in demand. The new stand will span two levels and will be installed with 10 internet stations to encourage paper free applications. An initial medical pre-screening for UAE nationals who have expressed interest in the cadet pilot program will also be undertaken on the stand by specialized Nurses. Staff and management of Emirates’ National Recruitment & Development department will be at the company’s stand to discuss career development opportunities with visitors throughout the exhibition. In addition, UAE national pilots, cabin crew and engineers will be available to share their experiences of training and working in the Emirates Group and to answer visitors’ queries.